The rise of cryptocurrency has brought an unprecedented amount of attention to the nature of money. Terms from the theory of money like Store of Value (SoV), Means of Exchange (MoE), and Unit of Account (UoA) are now becoming increasingly commonplace. Now, due to its popularity, Bitcoin is becoming more a store of value than a means of exchange. In the early days of Bitcoin, transaction fees were low enough that using it for everyday purchases was completely reasonable. Those days are long gone. What If Cryptocurrency Could Replace Fiat Currency? The idea of Bitcoin being used as a replacement for cash, and promoting it as such, was a big part of what drove up Bitcoin’s price and laid the groundwork for what cryptocurrency has become today. This has always been a big part of the bullish sentiment around cryptocurrencies. The current value of all the readily accessible money (cash and checking account deposits) in the world is estimated at US$36 trillion. This is $36 trillion worth of value that has a massive, massive problem — namely, that it is a key component of one of the most savage scams of human history, and people are starting to realize it. Awareness of the fact that fractional reserve banking means that private banks are essentially given the right to create money out of nothing is at an all time high. And with people feeling the pressure of prices increasing faster than wages, they are starting to understand just where the value of their money is going. Of course, the overall market is split right now — cash is usually used as both a MoE and a SoV. In cryptocurrency, Bitcoin is increasingly a SoV, with a number of currencies now competing to become a mainstream MoE. 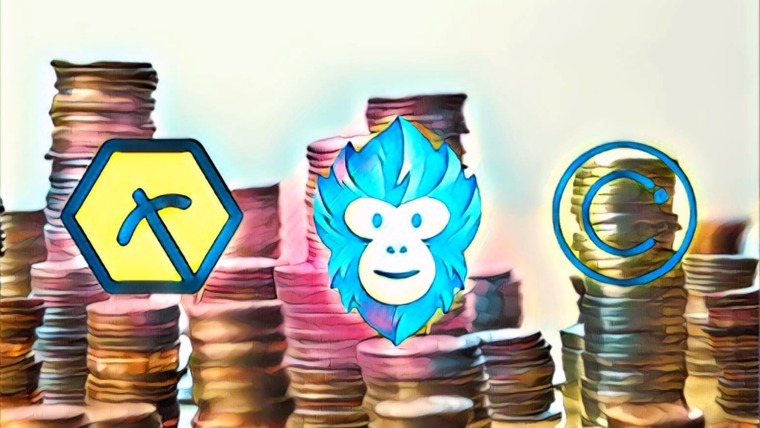 At the same time, we are seeing increasing specialization in cryptocurrencies and blockchains, with the rise of a plethora of platform coins, or cryptocurrency networks designed for the deployment of dapps. So which of the thousands of cryptocurrencies are focusing on disrupting cash and bringing cryptocurrency to the masses? Following is a (by no means exhaustive) list of cryptocurrency projects specializing in disrupting the cash market. Often called the silver to Bitcoin’s gold, Litecoin was originally conceived for everyday transactions, and this is still a major focus today. Litecoin was one of the first cryptocurrencies to arise after Bitcoin’s inception, and it has 4 times the coin supply and 1/4 the block time, and usually ¼ the transaction settlement speed. True to its origin, Litecoin tends to closely follow Bitcoin– Litecoin adopted SegWit around the same time as Bitcoin, and is also experimenting with setting up payment channels on the Lightning network, which could definitely make it more likely to be used for buying and selling. Bitcoin Cash came about as a result of the controversial SegWit/Block Size debate, following months-long arguments about the merits of variants on upgrades to the Bitcoin protocol. 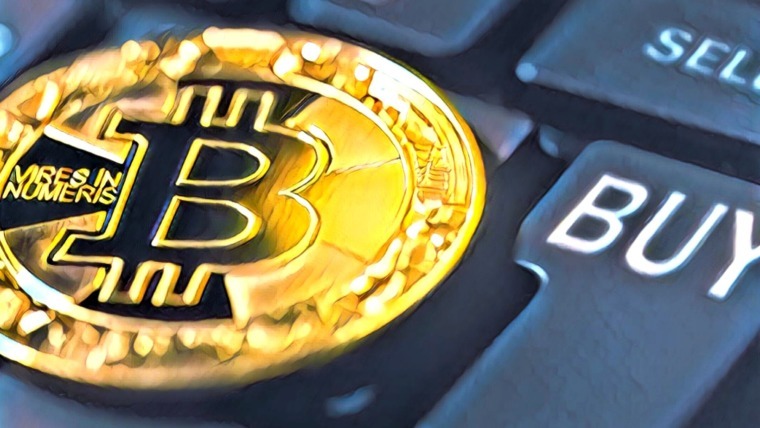 Its larger, 8 MB block size has resulted in a faster transaction settlement time, which its supporters argue make it more suitable for use as a MoE. 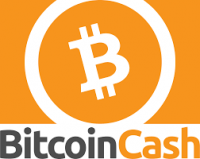 Learn more about this coin in our Bitcoin Cash guide. Dash is a contraction “Digital Cash,” and as the name suggests, it has been working towards serving as cash since the beginning. It was originally a fork of Bitcoin, and has sought to improve on the original with additional privacy features. Dash was the first network to implement masternodes. Although this was controversial with some members of the cryptocurrency community, the masternodes currently enable the InstantSend feature, which could help Dash gain popularity as a currency. Originally conceived as a privacy coin, Dash is currently making inroads in South America. 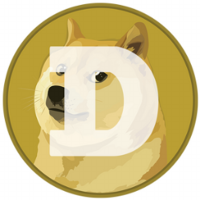 Dogecoin, oddly enough, has had much success at being used as a currency, partly because most people are not too worried about holding on to it, because no one thinks the price is going to go up that much. After Bitcoin and Ethereum, Dogecoin has the most daily active wallets at the time of writing. Monero is probably the most popular of the privacy coins, and it’s not only on the dark web, as the coin’s reputation might suggest. Monero is also popular in the software developer community for its distributed design architecture. Decentralization as a security feature is not only a technical issue– if the developer community working on a cryptocurrency is too centralized, it could make the network vulnerable to the actions of oppressive governments, which is why Monero is likely to continue to grow in popularity with activist organizations like WikiLeaks. Another highly popular privacy coin, Zcash is also a descendent of Bytecoin. 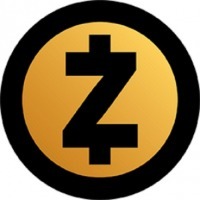 Originally called Zerocoin, a team of qualified academics has been working for several years on making Zcash the most effective means of privately transacting with cryptocurrency. Since there is big demand for privacy, it’s a big deal that the groundwork for Zcash’s privacy tech was laid by professional mathematicians and cryptographers. Zero Knowledge proofs are currently much talked about in discussions of privacy and cryptocurrency, and were originally invented by Zcash’s founder, Alessandro Chiessa. CitiCash is a newer entrant to the market with an integrated strategy to achieving mass adoption. The team is developing software to make using the currency as simple as possible, with shortened, simplified addresses, and user-friendly apps. This is combined with a comprehensive public outreach strategy designed to reach as many people as possible. In addition to offering privacy features, CitiCash also has built in inflation, which acts as an incentive to actually use the currency rather than horde it. 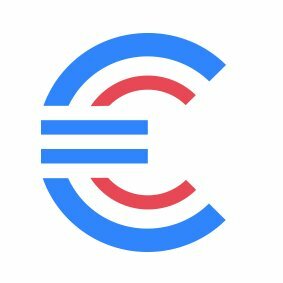 Learn more about the project and their token sale in our guide to Citicash. Nano, formerly known as RaiBlocks, is based on a decentralized acyclic graph (DAG) model as opposed to a blockchain. As its supporters are fond of pointing out, it features zero fees and transactions are generally confirmed within 10 seconds. Nano may have an easier path to mass adoption as cash, since the structure of the DAG may make scalability less of an issue than it is with blockchains. Although theoretically Nano is “infinitely scalable,” the network is currently believed to be able handle up to 7,000 transactions per second, although real world tests have so far only reached 300– still considerably higher than most of the popular blockchain networks. Despite numerous accusations of being a scam, and also being relatively new, Verge, originally a fork of Dogecoin dark (itself forked from Peercoin), has an unusually active user base. 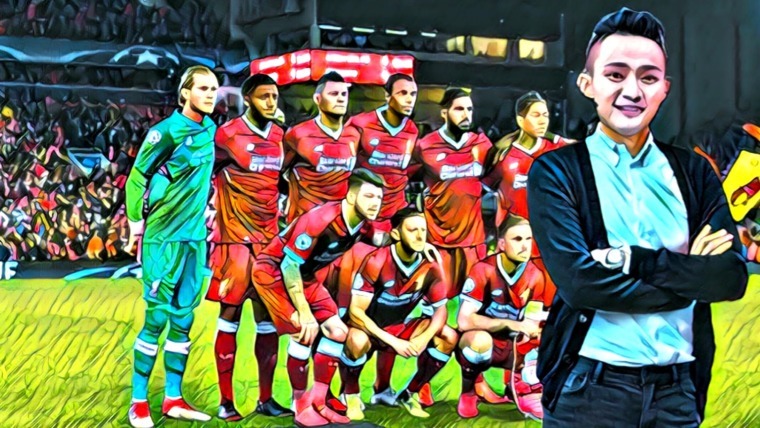 Part of the popularity may be due to the meteoric price increases, driven in part by internet security entrepreneur and cryptocurrency showman John McAfee’s support, and what some say were overhyped assessments of the underlying tech. To be fair, Verge does have good technical performance and, like many of the most popular currencies, an emphasis on privacy. Verge also recently partnered with Pundi X, a startup working on getting cryptocurrencies accepted at retail locations, which could help facilitate more widespread adoption. Electroneum has a strong mobile focus, going after low income users who may have their only access to the internet through a smartphone. While the model is promising, Electroneum has so far suffered from slow transaction speeds. Which Cryptocurrency Will Succeed as a Means of Exchange? Stability: To be an effective everyday currency, people have to think in that currency. This requires maximum stability, which will require matching supply to demand as closely as possible. But if there is inflation, who benefits from it? Widespread Acceptance: Money is absolutely subject to the network effect. A big part of its value is utility, and utility increases the more people are willing to accept it. Incentives: There has to be a real reason for using the currency. According to Gresham’s law, people will spend the currency whose value they think will go down, and save the money that they think will go up in value. Scalability: It needs to be able to offer frictionless transactions with a rapidly expanding user base. Ease of Use: Acquiring, managing, and spending the currency has to be as easy as possible. If we were to evaluate the above-mentioned cryptocurrencies in each of these 5 categories, it is hard to say who would come out on top. Litecoin is probably the most well-known and widely accepted (currently), but if Nano’s theoretical claims turn out to be true, it would likely be the network most able to handle a high transaction volume. Conceptually, the idea of extremely user-friendly, mobile wallets combined with a sustained marketing campaign, as in the case of Electroneum or Citicash, might be one of the best ways to rapidly spread adoption. It boggles the mind to try to imagine what the cryptocurrency landscape is going to look like in 10-15 years time. While the last major internet boom resulted in the consolidation of the market in giants like Facebook, Google, and Amazon, so far in the Web 3.0 boom we are seeing the proliferation of cryptocurrencies. At the same time, mechanisms are being developed to link these networks together. Since the very nature of the whole cryptocurrency market is based on decentralization, and considering inherent scaling limitations, it is unlikely that any single currency is going to dominate. It may be the ability to build community and offer unique value propositions to consumers that becomes a major factor in shaping the evolution of the market. 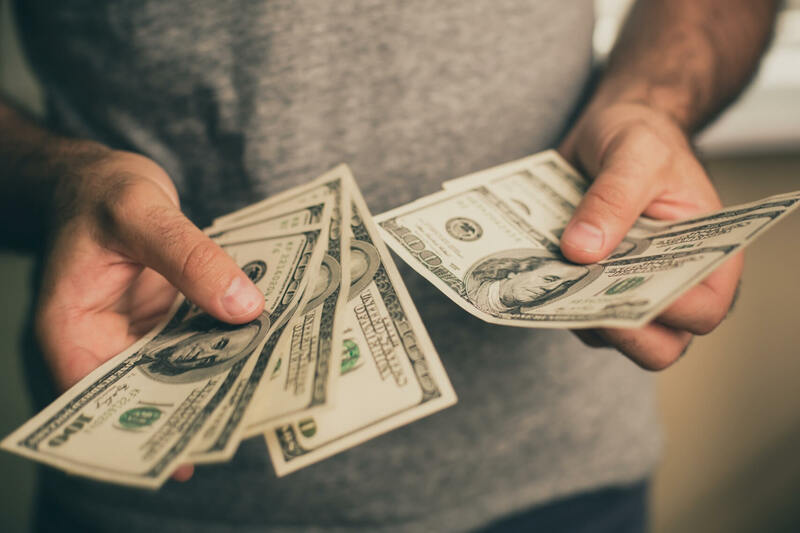 In any case, the end of the central bank’s monopoly on money is definitely a good thing for consumers– now the trick is motivating people to take advantage of the opportunity. Ultimately, the best marketing strategy for cryptocurrency is to just let central banks keep doing what they’re doing. Don’t even talk about Vertcoin ? Dash did not fork from bytcoin, it forked from the LTC codebase but shifted to the BTC codebase because LTC at the time had basically been abandoned. Also, Dash was not one of the first to implement masternodes, it was the first. Dash invented masternodes. 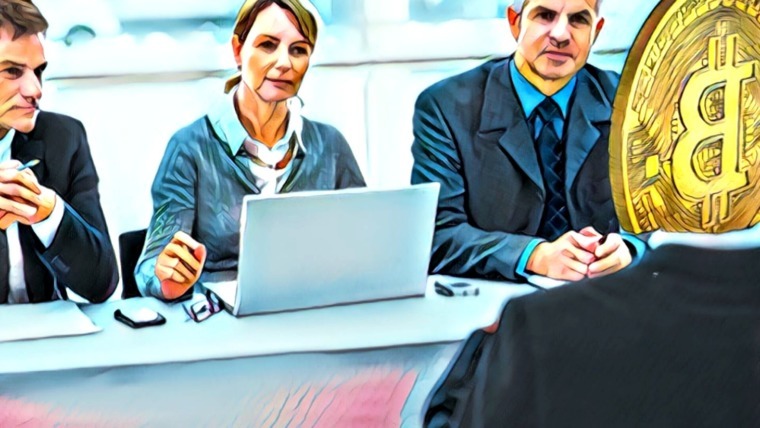 If you are going to produce articles that people will reference for investing advice, you have a responsibility to present factual information. You failed. Okay, you’re right about Dash, but honestly whether it was a fork of Bitcoin or Bytecoin is not exactly a make or break piece of information that is going to make or destroy fortunes. I’ll edit the article to correct it. Secondly, the first coin to do something is still “one of” the first coins to do something. I am not sure that this kind of precision or lack thereof is of as severe importance as you make it out to be. Thanks for the advice though. Most popular? By what metric? Certainly not the Darknet markets. According to research Dash out of 150 DNMS was avaiable on 20% of them while Monero was only available on 6 of them. Recently a large market shut off monero payments due to a bug that allowed people to withdraw money that wasn’t theres. Funny you didn’t mention that in your ‘glowing’ review. Very dishonest? Really? Look, I already made an edit because of your comment. I hope that you don’t think it was because of your being rude, because maybe that’s why you are doubling down on the bad attitude. My perspective comes from the information that I have come across, and there is a lot of information out there, and I’m always open to new information, and more likely to be receptive if it is communicated with some basic civility. There’s a lot of innovation going on all around, and masternodes don’t represent a quantum leap by any means. They have advantages and disadvantages. Did the study you read mention volumes? Why not link to it here? You could link to the description of the bug too. Why not link to it you ask? Because I’m not the researcher/writer, you are. Yet you’re putting out information that is misleading at best. So yes, you’re going to get people who are upset with you for that, that is a normal thing. As for volumes, where is your evidence for it? Alphabay stated when they were online that monero was only 1% of their transaction volume. Monero only averages between 3-5,000 tx per day (btc the most popular, has 200k tx per day), so its likely not a huge chunk of the dnm volume. My point is, where is your evidence for that claim? Oh and btw about your masternode comment, you really need to stop talking before you’ve done research, you are making yourself look bad! Because of the masternode concept, Dash has literally HUNDREDS of forks. Yes being the first to have instant transactions is a big deal. Yes having the first private txs is a big deal – dash launched before Monero and is definitely more popular, in Venezuela, Africa, Eastern Europe, etc. Monero is unheard of. Dash is widely known there. Yes having governance is a big deal. So YES the invention of the masternode concept, which allows all that to be possible in a decentralized way IS A BIG DEAL. Anyone who would write otherwise is just…really misinformed. See, I can be nice. I’m not the guy you replied to. There is a link in the article which links to data showing that dash does have more daily active wallets than monero, however cryptocurrencies are generally used more as stores of value and monero has a higher market cap, and I am also going of of various discussions and searches that I have personally had/done which showed more general positive sentiment around monero. I said it is “probably” the most popular, not that it is, because there are no hard numbers to back that up other than market cap. Actually, calling a couple of minor mistakes which were promptly corrected “lying” is blowing things out of proportion and being rude, frankly. And it is symptomatic of a general malaise afflicting the cryptocurrency market as a result of people who don’t have the patience to swallow losses and are looking for someone to blame. You have definitely helped further educate me on Dash though, thanks. Well, I’m glad I got your attention. However, another mistake is that there wasn’t any controversy about masternodes, at least not in the community, and again, there are over 100+ forks of Dash directly using the concept. Dash is also the first and longest running privacy coin. The first coin with decentralized governance. And the first coin with decentralized funding for things like the core development team, marketing, research and development (like with Arizona State University). These are also things you could mention about Dash. I’m sorry that I was so abrasive, its hard sometimes to see a good project get overshadowed. Cheers. Oh wow! Did you know that just about all the projects in this list are open-source? What? Are you crazy? The monero development team is THE MOST centralized in crypto. One guy holds the commit access. The same guy runs the most popular ‘mymonero’ wallet that people have complained for years about losing money from despite using best practices. I’m sorry, but I have to ask, did you receive payment to write this article? Considering your last article completely left Dash out for no reason, and now this one I have to ask. Yeah, I’m aware that open source is a standard. I have not looked deep into it, but from what I have read on Monero the community working on it is quite distributed. If my information is wrong, please send links with proof, ie. screenshots referring to publicly verifiable information. By contrast, as far as I know Dash is and has always been a fairly compact and centralized team, which is not necessarily a bad thing. But it may appeal to different sensibilities. Its not distributed. 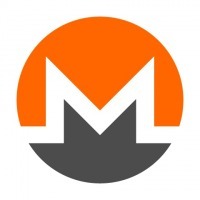 Firstly, monero had a cripplemine. The developers at the time released a miner that gave everyone less money while they kept the good stuff. One guy apparently got 50-90% fo the supply for the first 3 months. So the people who fund their projects are centralized, early whales. Again their core team is only about 3-5 people. Dash has 30+ developers paid market salaries, they have 70 paid staff overall. You’re saying things like ‘centralized team’. Dash is an open source, decentralized project. It is a fork of bitcoin and like bitcoin has contributors from all over the world. They are paid from the blockchain, but that is far less centralized than Monero, or bitcoin which rely on donations. Its just that a lot of the information in this article is backwards/directly false. You are doing cryptojournalists no favors rn. I have heard similar criticisms about the beginning of dash, and honestly nearly every coin except for bitcoin. Maybe bitcoin as well, if you ask the right (or wrong) people. You may be right about the coin supply being centralized, which would also be true of Bitcoin, but I was referring to the developer team. The fact that you are saying “70 paid staff” is describing a very centralized development team. Which is great, for some things. Yes, Monero’s coin supply is heavily centralized by the early devs, but also the development was what I was referring to. One guy holds commit access, the same guy pumped and dumped his coin using a fake news announcement last aug. Dash has never had any such controversy. Further they’re paid from the blockchain which is decentralized. Its based on a masternode vote so everyone with 1000 Dash gets to vote on the budget. The Dash Core group is just a decentralized organization made up of contributors around the globe that seek funds and get paid based on the merit of their work, like all the paid teams that work directly for Dash. Yes, Dash also is the first decentralized entrepreneurship platform, the first decentralized job platform. You may want to look into it, http://www.dash.org. It is very decentralized and not at all centralized. You could probably write a whole series of articles about Dash alone and the innovations it brings to the cryptospace. Not joking. Look, I acknowledged that you have some valid points, and I made some edits, and you keep coming with a really lame attitude, and refusing to bring evidence. Deception doesn’t only happen through wrong facts, it also happens by focusing excessively on some things and ignoring others. Which I think you may be doing as well. I’m relaying what I have learned, and it is by no means complete. Again, if you want to support Dash, you will do better to have a polite attitude and give people the benefit of the doubt before you make accusations. Our goal here should be to find the truth, not to support any particular currency. And it doesn’t seem like that is something you are committed to. Don’t try to turn this around on me! You’re the article writer. You should not be getting dragged in the comments for writing things that are misleading, and you definitely shouldn’t be trying to blame your readers for it. Next time, research your article properly and do better. Nothing I’m saying here is offensive or rude, unless you know I’m correct. Then it might be, but it should be because you didn’t do your job properly. It’s not whether it’s make or break or not, it’s that if you get even the most basic facts about Dash wrong, how is anyone supposed to take the rest of your article seriously? And when you factor in how Dash was inexplicable left off your publication’s previous list of the top 100 coins with a working product and how you inserted the line “Although this was controversial with some members of the cryptocurrency community” in this article in what feels like an attempt to create controversy where there was none (masternodes were never controversial within the Dash community), it starts to feel like your organization has a bias against Dash. ETN is the fastest growing crypto ever, with over 2 million users in just its first 7 months (this bests the rate of growth of Facebook and Twitter); ETN has an Apple IOS App approval (what other coin has that?) currently in Beta with 10,000 testers; Over 1 Million Google Play store app downloads; and a patented Vendor API for Crypto InstaPayments with over 1,000 Vendors at this moment involved in the Beta…and ETN is only just getting started. I think I mentioned ETN has not even been live for 1 year yet, and already all of this. Since the ICO concluded marketing for ETN has not yet begun; the same massive marketing which set an all time record-breaking ICO with ETN. Personally, I just read a couple years ago about some internal issues to Dash a couple years ago, specifically about misrepresenting the technology and internal power plays. It could be that what I read was a monero sponsored smear piece, I really don’t know, but it affected me, and honestly up until know, for whatever reason, I do have a bit of bias against Dash. Perhaps other writers for this website feel the same way, but I can definitely say there has been no systematic organizational initiative against Dash on the website. Yup, it was 100% fud. The monero community has been attacking Dash for years, people even got fed up with it on btctalk three years ago, here they were accused of spamming btc talk and fudding Dash. Dash is probably the most decentralized cryptocurrency there is. Its governance, funding, even the teams that work on it, are all decentralized. All financing is done in a decentralized, completely transparent manner. Dash is accepted in 3000+ stores, with over 1500+ accepting it in Venezuela. I think you would do yourself and your readers a huge favor by starting over from scratch at Dash.org, http://www.reddit.com/r/dashpay and getting a fair and balanced view on Dash. You may get a few article ideas along the way as well. Look, I get that people are highly invested in these projects, but as I have said several times on this thread, linking to verifiable proof that illustrates your point will probably be more effective than personal digs at the authors of articles. Sad to see the number 10 coin at the wrong end of the list. A Crypto/Fintech with record breaking ico, community of 2 million, over 1 million app downloads and a patent for instant payments rolling out as we speak. All of this scratches the surface and in the third quarter of this year mass adoption will actually start through ETN’s marketing strategy. All of this has happened in 10 months since the ico. 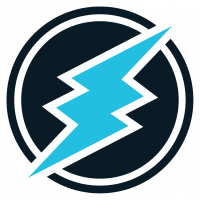 Watch this space because ETN is walking the walk, in fact they are running at quite a pace, I suspect the aggressive nature of many toward Electroneum is the lack of foresight in designing their projects and promoting value through tech innovation without thinking enough of the end user. No decent Crypto can afford the be left behind. Poor management is causing many to sell off there ico btc and eth along with investers hopes, to steal peoples money and abandon projects. Placement on the list isn’t really a ranking in terms of quality or potential.